AllTrac.net • View topic - Headlights/spotties... what have you done? Headlights/spotties... what have you done? 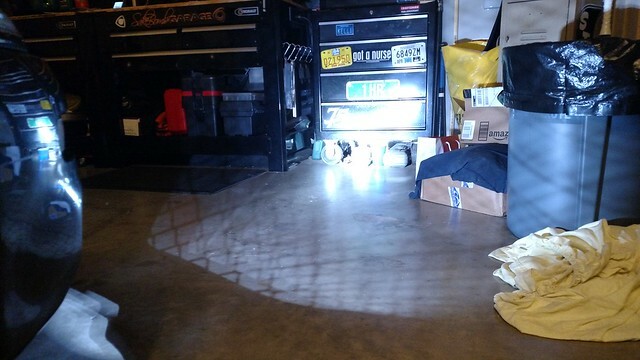 Re: Headlights/spotties... what have you done? Looks Sweet! I want projectors but I think i'll go with the trucklite for simplicity. For a 165 I recently upgraded my Hella H4 Conversion housing with Osram Cool blue bulbs. Dont have a good night shot, especially since they're angled weird. Definitely a huge difference though, and contrary to what the coating on the bulb would make you believe, they aren't blue. I have a set PIAA Xtreme white fogs I need to install too. They seem to be the only fogs that should fit the stock location of a 165. Edit: Updated dead links of my Truck-Lite install on a previous page. I also resolved this little issue (like ZeroDrift mentioned) I had with the install some time ago but forgot to update this thread. .
ZeroDrift wrote: Must say they work quite well- however with the low amp draw these have, the MR2 no longer has an operational hi-beam indicator lamp. FC Zach wrote: Wonder how that can be corrected? ? FC Zach wrote: I'm wondering if I could measure and record the ohms with the factory and new light installed then just buy a resistor sized close to the difference of the two? Does that make any sense? (It does in my head lol) Then do I just simply install it inline on the high beam wire? You'll need to rewire the light in the dash. What I did to fix this little issue: Instead of using a resistor I simply attached a small 194 bulb to each light. 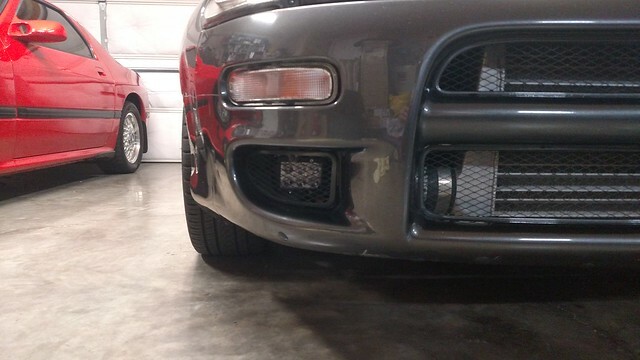 For fog lights, I found some small LED accessory lights off Amazon for cheap. I made my own mounts to get them where I wanted them. Last edited by FC Zach on Mon Apr 09, 2018 9:34 am, edited 1 time in total. Did you put the 194 bulb in series or parallel? Where did you physically put the bulb? Parallel with the low beam lead, tucked the bulb (mounted in a socket with two leads) behind the Truck-Lite on the headlight harness. Are those led fogs legal for road? I wonder if they might fit the rc center grill like oem. Probably, as long as you don't have a front mount.